DWR recognizes the need to rehabilitate and modernize water and flood infrastructure in California. Floodwater for Managed Aquifer Recharge, or Flood-MAR, is an emerging water management strategy that can significantly improve water resources sustainability throughout the state. Flood-MAR’s final white paper, published by DWR on June 20, explores the opportunities to use flood water for managed aquifer recharge. 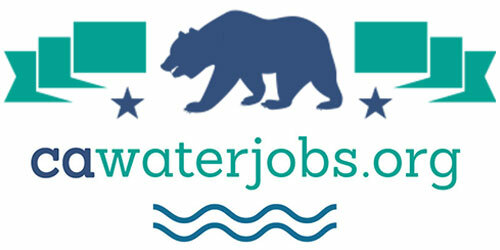 The potential and value for California is achieved by integrating Flood-MAR with other regional recharge efforts, changing management of California’s water system to better integrate surface water and groundwater, upgrading conveyance, and considering Flood-MAR’s opportunities as related to water transport and transfers. The white paper examines the complex technical, legal, and institutional barriers and challenges affecting the planning and implementation of Flood-MAR. Overcoming these barriers and challenges will require strategies that include open dialogue, strong leadership, robust partnerships, funding, and innovative research and pilot projects. This final white paper incorporates public comments submitted in response to a discussion of a draft of the white paper published in 2017. Bureau of Reclamation Commissioner Brenda Burman announced that Reclamation has awarded $8.3 million to 15 projects in California, New Mexico and Utah for the preparation and response to drought. The types of projects selected increase water management flexibility and water supply reliability. These projects also reduce the need for drought emergency response actions. The funding provided is part of the U.S. Department of the Interior’s WaterSMART initiative. There were 13 projects selected in California and one each in New Mexico and Utah. 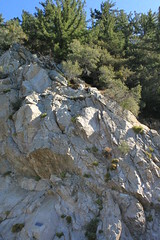 To learn more about all the projects selected, please visit Reclamation’s Drought website at https://www.usbr.gov/drought. The Elephant Butte Irrigation District in Las Cruces, New Mexico, will receive $180,670 to develop and modernize its infrastructure to facilitate watershed scale flow management, stormwater harvesting and aquifer recharge. The project will allow for faster information transfer and shortened personnel response time resulting in better water capture and water management during storm events. The district will also bring $181,784 in non-federal funds to the project. Ephraim City in central Utah will receive $645,255 to construct a new water well capable of producing up to 328 acre-feet of water per year, increasing the annual supply of the city by 28-percent. It will also connect a short pipeline from the well to the city’s potable water supply. This well will provide the city with a new source of water and improve their overall potable water quality over extended periods of drought. This project was identified in the city’s water management and conservation plan. They are also contributing $788,645 in non-federal funds. The San Juan Water District and Sacramento County Water Authority in California will complete two interties that were identified as mitigation actions in the North American Basin Regional Drought Contingency Plan recently completed under Reclamation’s Drought Response Program. 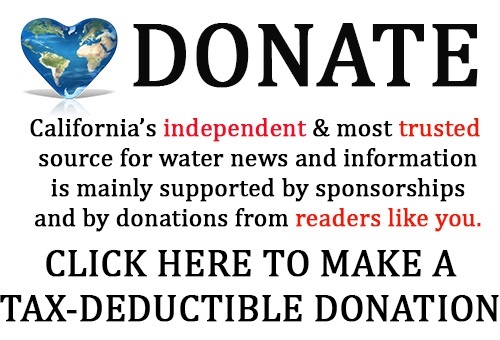 They will construct an intertie by SJWD to receive water from the Placer County Water Authority and the SCWA will complete an intertie to deliver groundwater to the City of Sacramento. They will receive $300,000 from Reclamation while contributing $322,185 in non-federal funds to the project. Drought resiliency projects are part of Reclamation’s Drought Response Program. It helps communities recognize the next drought in its early stages, learn how droughts will impact them, and protect themselves during the next drought. It is structured to encourage an open and inclusive planning effort to build long-term resiliency to drought. 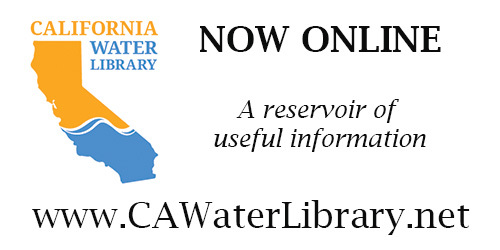 Learn more at https://www.usbr.gov/drought/. Through WaterSMART, Reclamation works cooperatively with States, Tribes, and local entities as they plan for and implement actions to increase water supply reliability through investments to modernize existing infrastructure and attention to local water conflicts. Visit https://www.usbr.gov/watersmart for additional information about WaterSMART. East Valley Water District has received approval from the San Bernardino County Local Agency Formation Commission (LAFCO) for the activation of its wastewater treatment authority. This decision allows East Valley Water District to treat wastewater within its service area at the future Sterling Natural Resource Center (SNRC), a state-of-the-art wastewater treatment facility designed to create a sustainable water supply for nearly 700,000 people. The SNRC will be constructed on a 14-acre parcel of land in Highland, on Del Rosa Drive between East 5th and 6th Streets. The facility will benefit the community through educational opportunities for local students and residents in science, technology, engineering and math (STEM) programs while providing cost-effective wastewater recycling. “This major milestone in the District’s history provides us with an opportunity to improve the water supply reliability not only for our residents, but for our region,” said John Mura, General Manager/CEO. With an injection of $126 million into the local economy, the SNRC will kickstart temporary construction jobs and new, permanent positions in and throughout the community. The facility also will result in much-needed infrastructure improvements for the local neighborhood. In addition to receiving board approval to apply to LAFCO, the SNRC has celebrated a series of project milestones. Most recently, the project secured $126 million in state funding and is in the final stages of selecting a progressive design-build firm to lead construction. About Sterling Natural Resource Center: The Sterling Natural Resource Center (SNRC) is a state-of-the-art facility in Highland, Calif., that will provide a sustainable new water supply to boost the region’s water independence. Capable of treating up to 10 million gallons a day, the SNRC recharges the local Bunker Hill Groundwater Basin and creates new opportunities for the surrounding community in the form of education and training, community space, neighborhood improvements, and new habitat for the Santa Ana Sucker fish. Located on North Del Rosa Drive between East Fifth and East Sixth Streets, SNRC is a project of the San Bernardino Valley Municipal Water District and treats wastewater generated within East Valley Water District’s service area. For more information visit www.sterlingnrc.com and follow the project on Facebook, Twitter and Instagram. About East Valley Water District: East Valley Water District was formed in 1954 and provides water and wastewater collection services to more than 100,000 residents within the City of Highland and portions of both the City and County of San Bernardino. EVWD operates under the direction of a five-member elected Board. More information is available at www.eastvalley.org.